UNPO: Taiwan: Travellers from PRC Strengthen Economy, Political Relations? Taiwan: Travellers from PRC Strengthen Economy, Political Relations? Following on-going tourism negotiations between Taipei and Beijing, individual visitors from mainland China may soon be welcomed in Taiwan. This development could significantly boost Taiwan’s economy and improve political relations with the PRC. Taiwan and China will hold another round of talks in late March  on a plan to allow individual travellers from China to visit Taiwan, a move that many see as a huge lift for Taiwan's economy. A transport ministry official said on Thursday [25 February 2011] that while there had been some speculation that a decision on the plan would be made soon, the situation would become clearer after the March talks. "A major obstacle is that Taiwan is asking Chinese tourists to put down a deposit, the amount of which has yet to be decided, before their visits," said the official, speaking on condition of anonymity. 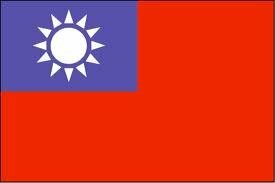 Taiwan has proposed that up to 500 mainland Chinese per day be allowed to visit as individuals on trips of up to 15 days. The quota would be in addition to an existing limit of 4,000 mainland tourists per day on group tours. Although still politically sensitive, opening up to individual tourists is seen as the next stage in boosting economic ties between the two political rivals, whose relations are at the best in 60 years since the signing of a landmark trade deal last year . Mainland tour groups accounted for 1.63 million visitors in 2010, up 68 percent from the previous year. For the first time the number of mainland tourists exceeded those from Japan, which for decades has been Taiwan's biggest source of visitors. The tourism sub-index on the local stock exchange .THOI has risen about 30 percent in the last year on hopes of an influx of free-spending mainland tourists, while economists see benefits as individual travellers are expected to spread their spending more widely than visitors on group tours. China's tourism chief, currently on a week-long visit to Taiwan with a delegation of travel industry executives, was quoted as saying this week that he would push for individual tourism to start from as early as the second quarter, with Beijing and Shanghai residents the first to be allowed to travel.